You know me. You know that I love rabbits more than any other creature in the world. So of course once Valentines Day goes away, I know I'll become bombarded by every company in the world with their amazing bunny products for Easter. 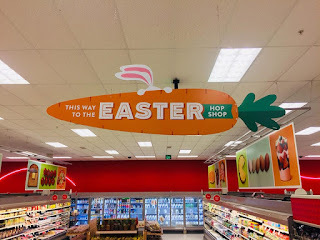 Now, much like Halloween, there's one store more than any other I expect to blow me away and give me almost an Easter sanctuary to visit when I'm feeling down. You know EXACTLY what I'm talking about. I'm talking Target. And when it came to delivering the fluffy goodness, they didn't let me down at all. Look I know better then to let my rabbits near the produce in my apartment otherwise I'll be out a dinner. I know this can't end well. Hey...is that...? A-Ha! Of course! 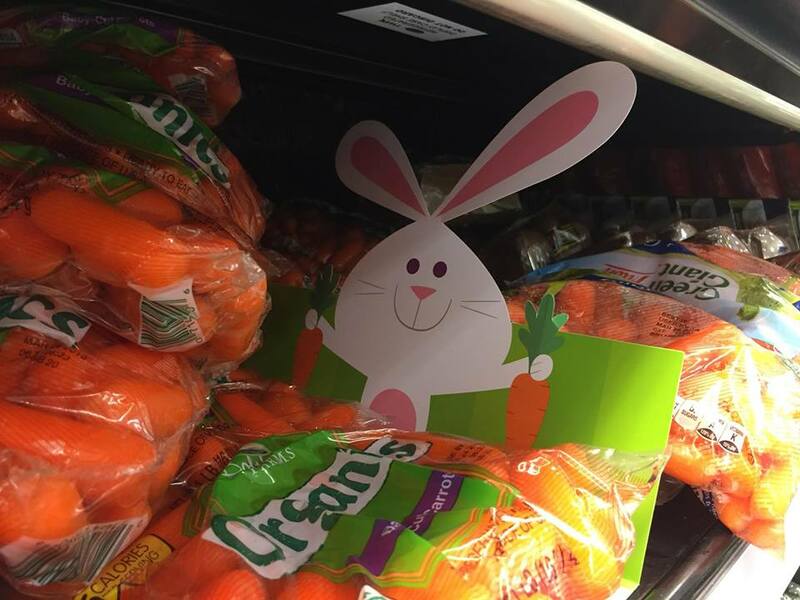 Bunnies love carrots, so it only makes sense that he'd stop in for a quick treat. 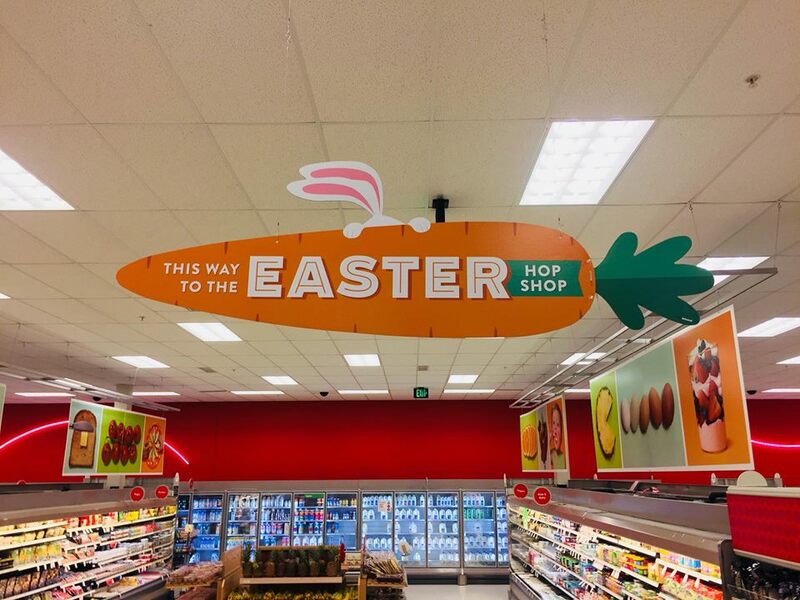 After all, he's gotta get his energy for leaving Easter eggs all across the world. He deserves it! ...the signage as well. 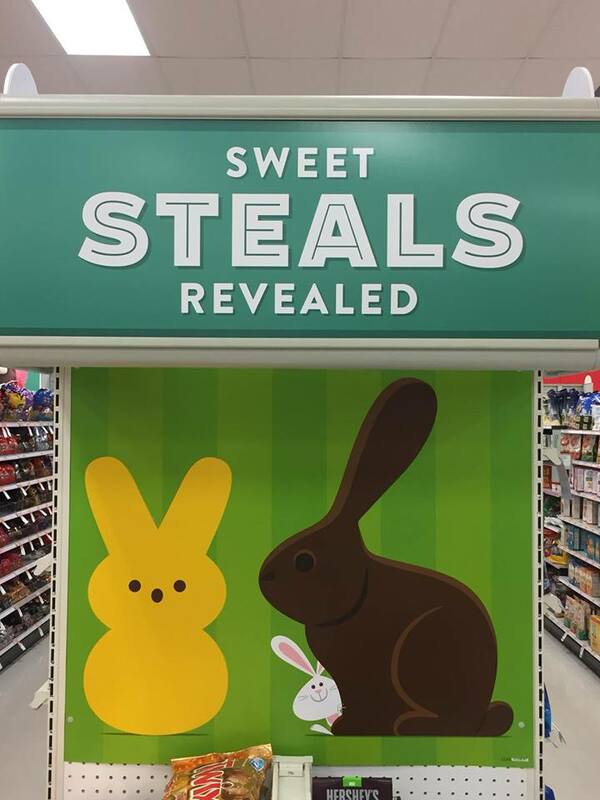 That sneaky rabbit! 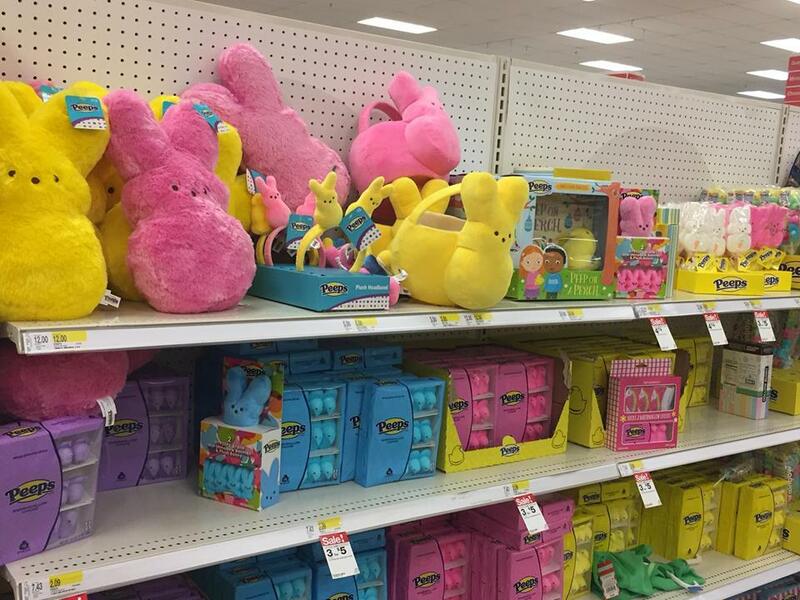 I feel like every year, the Peeps madness just gets bigger and bigger. At the risk of sounding like a crazy old man, I can remember a time when peeps were yellow and pink and that was it. 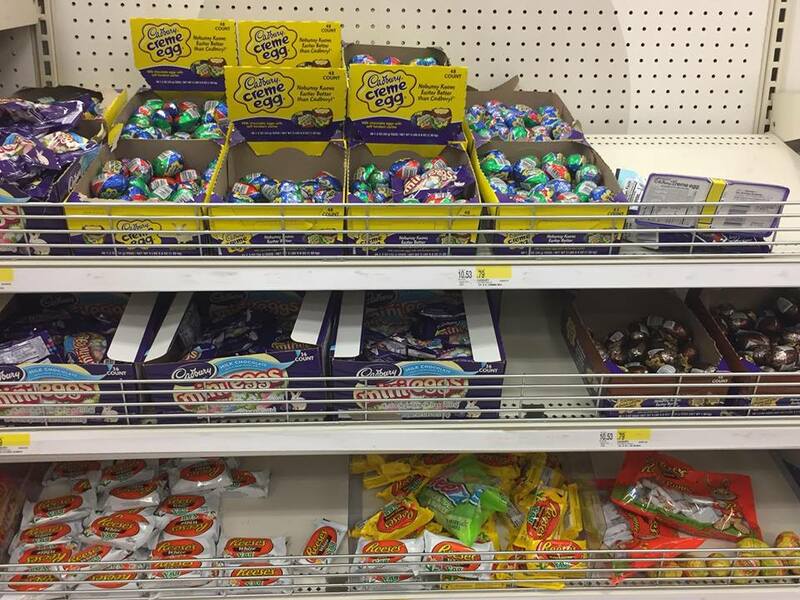 But now, we get every possible color and flavor as the somewhat avatar for every holiday and time of year. Which I happen to think is pretty awesome. 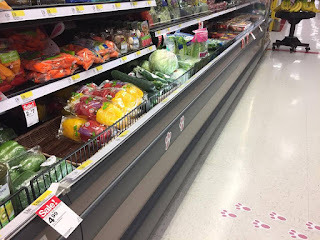 A lemonade Peep for the summer? Ok, that has my attention. 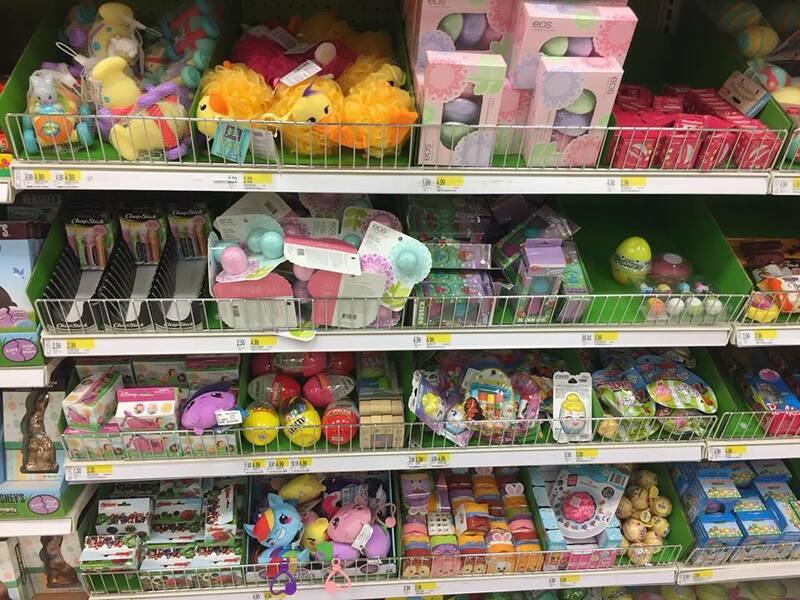 Until we get there though, let's gaze upon the marshmallow-y goodness and mass merchandising. 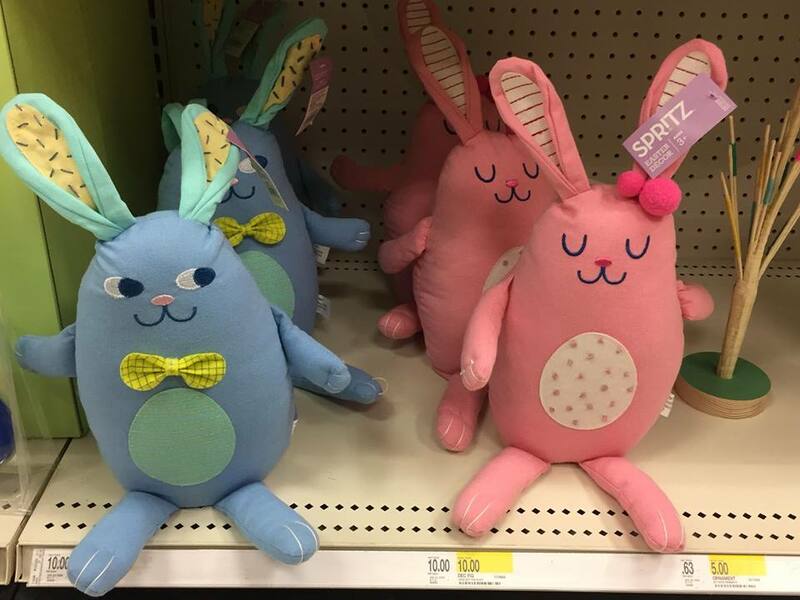 A pillow buddy (or bunny buddy as I call it! 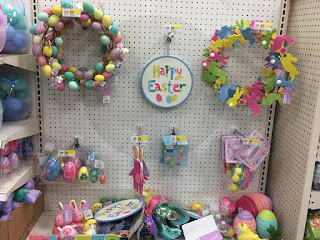 ), baskets, and festive headbands are offered to make your Easter season that more fun. You just know someone in your family is wearing that headband before getting drunk off red wine. You've been warned. Gotta load up on your decorations. What fun is celebrating the season without large, crazy-looking signs and even a crazy wreath. 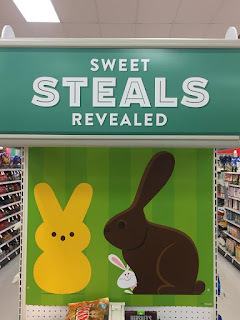 I mean, my apartment is already overrun by spoiled rabbits, so technically that would be a good piece for all year round to hang on my door. 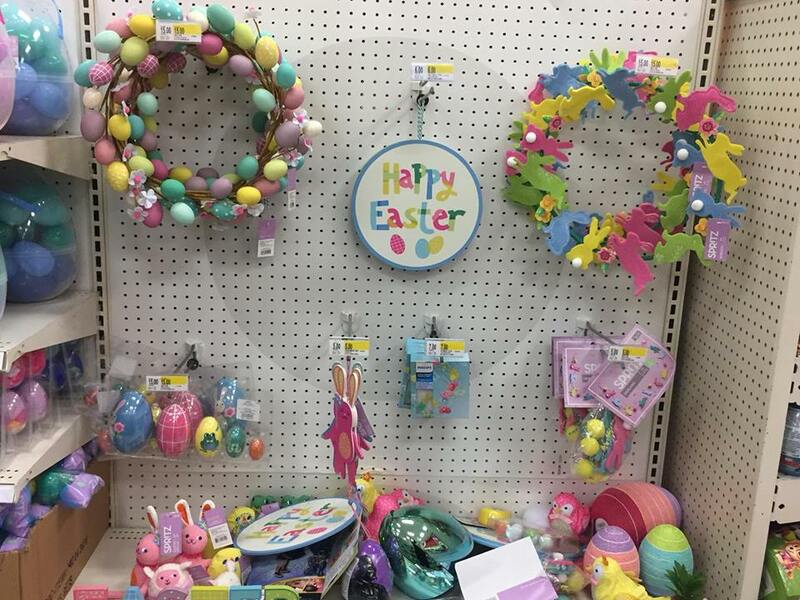 The egg wreath though...yeesh. Not the biggest fan, but still pretty festive. I can't truly hate it mainly because it resembles something out of a John Waters movie. That's a lot of pastel. Some motivation. 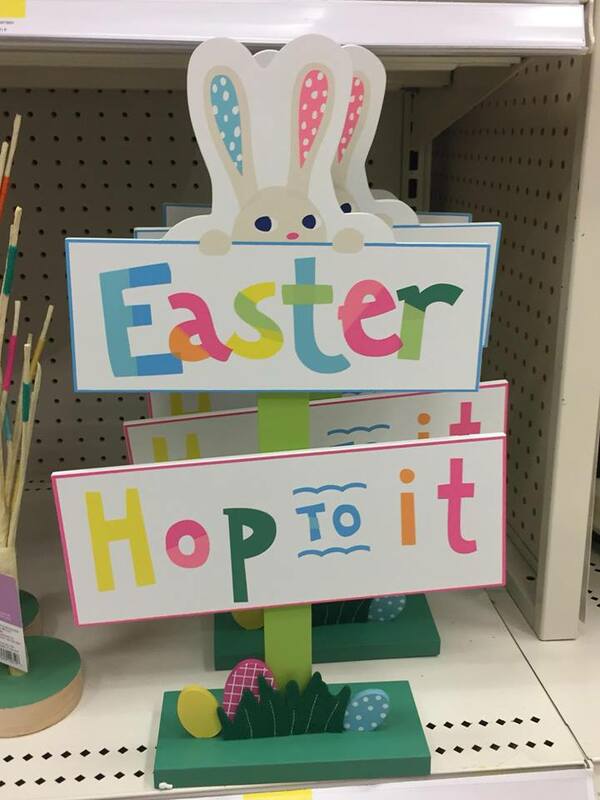 "Hop To It". 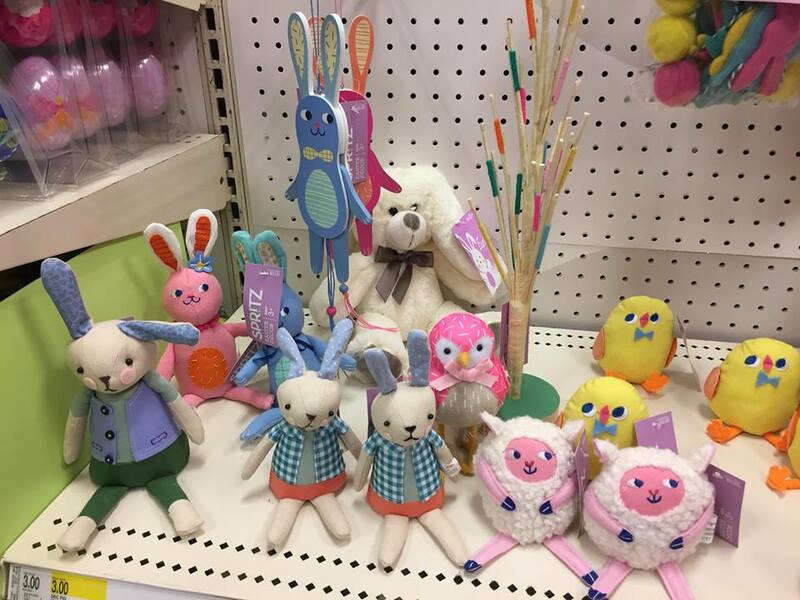 We all hit that wall when it comes to Easter planning and cleaning, but take a look at that sneaky rabbit. He doesn't know whether or not you can do this. A little reverse psychology on his part, because he's believed in you the entire time. Prove him right and keep up the hustle. 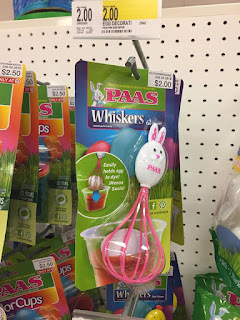 That Easter bread isn't gonna bake itself, pal! 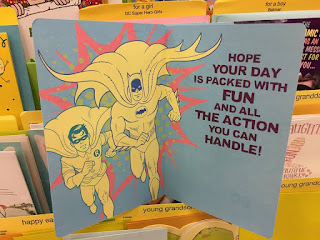 This caught my eye on the end of the aisle, in a card display. Batman and Robin? An Easter message? 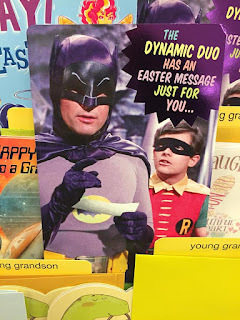 Look I'm sure even the Dark Knight enjoys the lighthearted nature and joy that Easter brings to everyone but what message would the Dynamic Duo want to share with me? My gosh, this just too much suspense to handle! 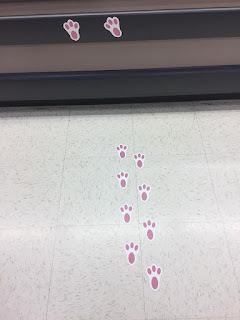 A warning of the Penguin's nefarious behavior? Could Mr. 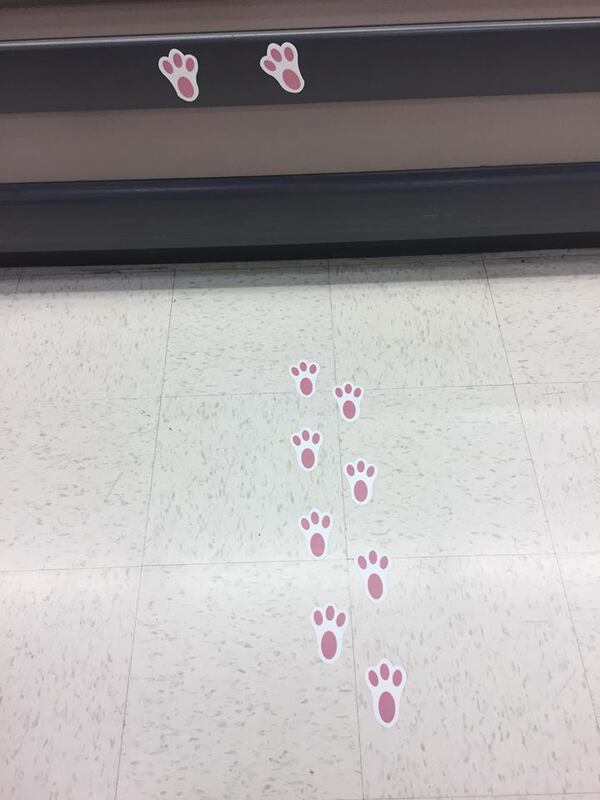 Freeze be on his way to ruin Easter? Can I expect to make a seat at my table for Alfred? Could the Sportsmaster try to ruin the traditional softball game my neighbors usually play out in the courtyard? Of course. Batman and Robin found time to wish us a very happy Easter. Batman may be the world's greatest detective, but let us never forget that he's still a man of the people. Even if he's one that dresses up like a flying rodent. 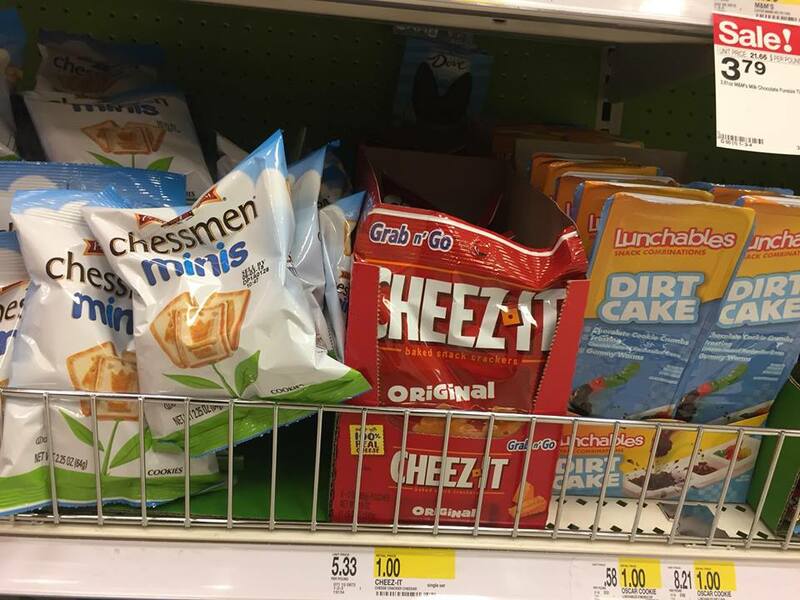 Cheez-It's and dirt cake too? Now we're getting serious. Don't get me wrong, the Chessman cookies are fantastic too, but these dollar offerings can make the most cynical person happy to celebrate the season. 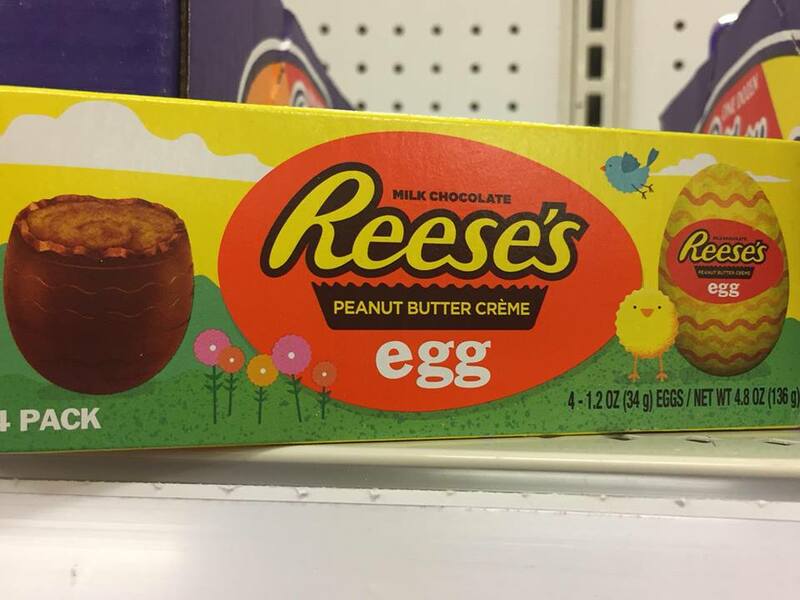 If we're going to be honest with ourselves, as great as Reese's and Peeps are, they're not the true champions of Easter. Cadbury is. Or maybe it's just my opinion. Yeah, it's me. Look, I get that Cadbury Eggs have changed in size and recipe and have expanded to even Halloween.but there's just something so satsifying about eating these no matter what. I've always been a huge fan and much like eating my first bowl of Chocula around Halloween, I know it's not truly Easter until I have my first Cadbury Egg. The cream, the hard shell, and let's not ignore the fact that they still show that almost 30 year old commercial! 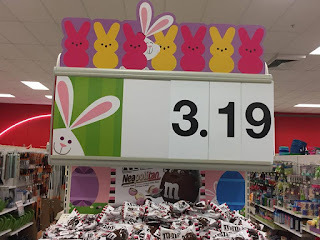 ...those eggs are great but it's truly hard to dethrone the king. The last thing I saw before I left were these adorable plush figures and dolls. 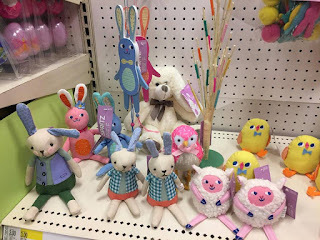 Bunnies, chicks, happy sheep and wooden pull-string dolls. Target offers them every year and I can't help but get a huge smile across my face every time I lock eyes on them. Those chubby sheep are just too adorable and I want to buy all of these to create the happiest farm diorama you could ever imagine. Well, it's time to go. But it's been a fun trip and I'm sure next year will be...WAIT WHAT IS THAT?!?!? 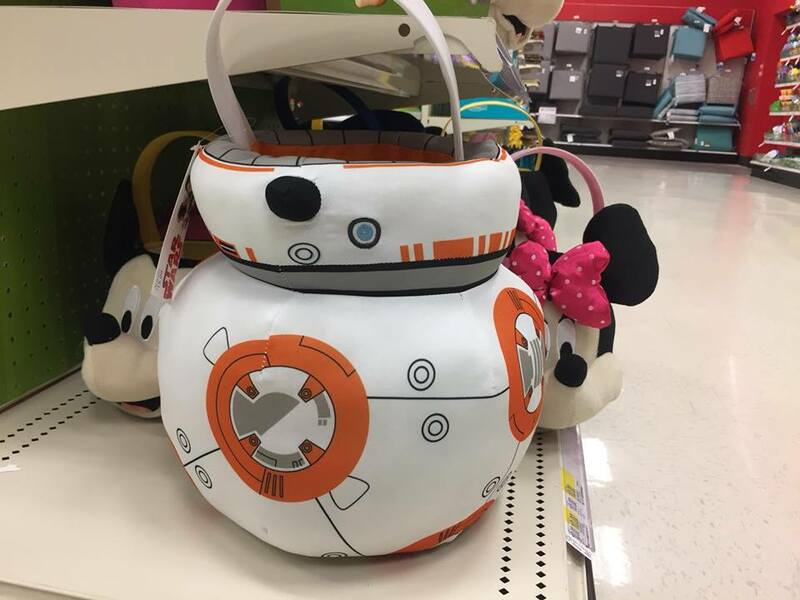 A BB-8 BASKET?!?!?!?! Yup, just hiding right around the corner waiting for the right person to come adopt him, is our favorite droid from the new Star Wars movies. Easter just got even better. Don't discount Mickey and Minnie's feelings either. They're happy to see their colleague get the spotlight, they know they're gonna be around for more holidays so let the droid win this one. A BB-8 holiday basket though? Makes sense! He's the perfect companion and very loyal, so how much joy does he get knowing he can help provide a very memorable Easter morning? That's a real friend. That's all she wrote, folks. 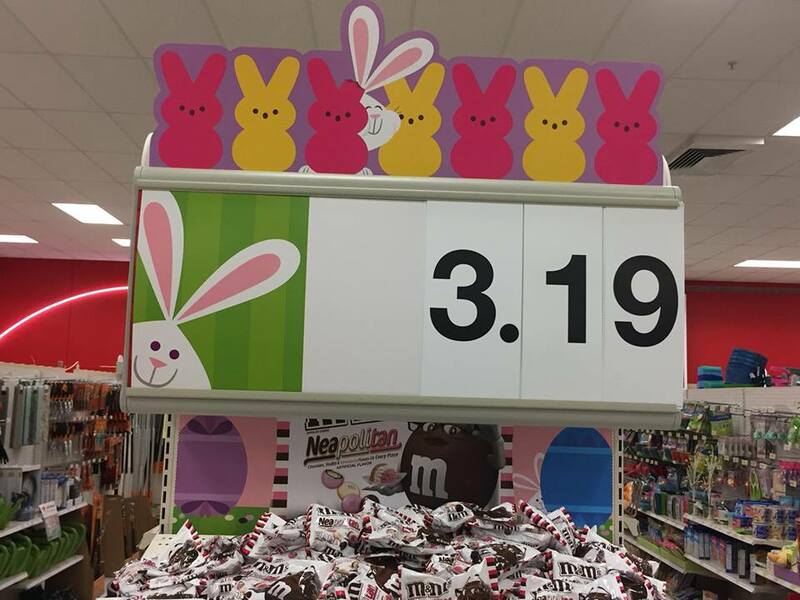 Easter isn't exactly the biggest and most money-making holiday, but it's a nice time to enjoy bunnies and chocolate eggs. What better way to kick off Spring? I love the infectious joy you demonstrate in this post! 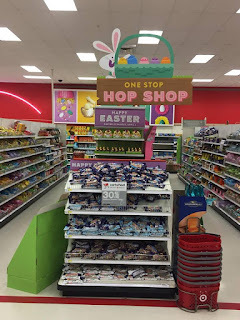 Most holiday bloggers I come across don't feel Easter like you do, so I am happy to read this. 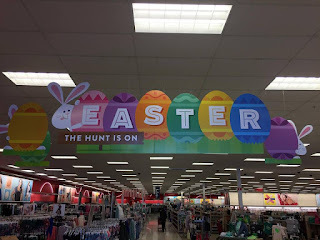 Easter is no Halloween or Christmas, but it's still a fun time with fond memories for me, especially when it takes place later in April when you can really feel Spring in the air. Thank Pod It's Friday! Episode 1! Some Awesome WWF Hasbro Figures!